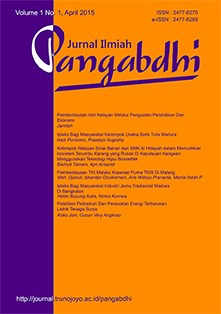 PANGABDHI JOURNAL the Scientific Journal of Community Service, which is published twice a year (April and October) by the Institute for Research and Community Services (LPPM) Trunojoyo University Madura. This scientific journal carried an article on this research, the study of the application of the theory of dedication, devotion conceptual ideas, and a reviewer of books about the problems of social humanities, etc. 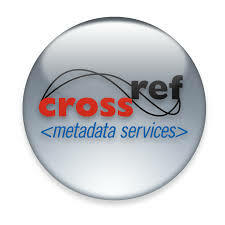 We encourage everyone to submit high quality article to publish in this journal. Pangabdhi Journal with registered number P-ISSN: 2477-6289, e-ISSN: 2477-6270. Pangabdhi Journal by Institute of Research and Community Services is licensed under a Creative Commons Attribution 4.0 International License.